The focus here today is on creating a masculine card. I took one of the images from the Altenew Party Time stamp set and created a pattern with Altenew inks. I originally used some Distress Oxide inks, but the Altenew crisp dye inks worked out much better on the Neenah Solar White cardstock. I stamped the little accompanying sequin stamps with the blue and green (Mountain Mist and Ocean Waves) to pull in the other colors. I also put some Wink of Stella on the sequin stamped images. I rubbed the yellow Mango Smoothie ink direct to paper for a back layer. 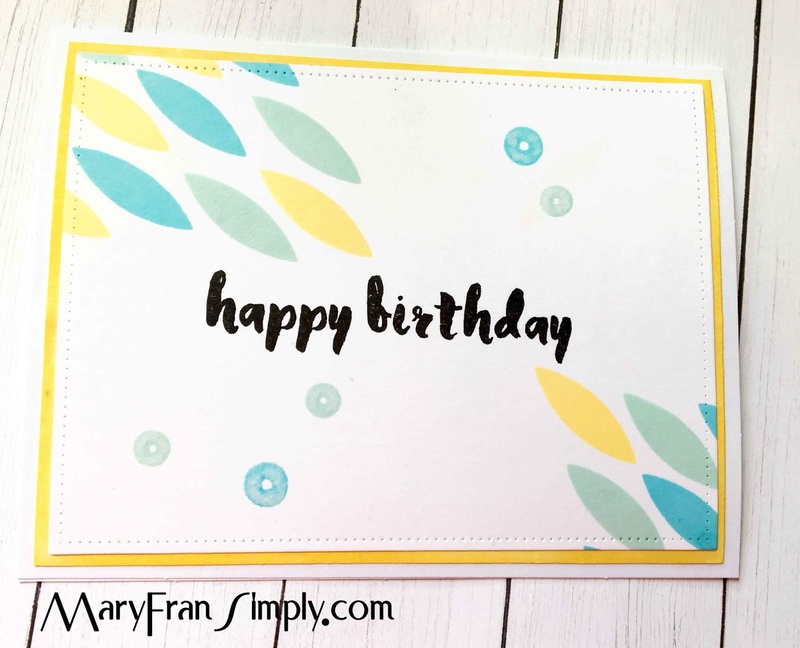 The sentiment was stamped in Altenew Jet Black from the Painted Greetings stamp set. I trimmed the yellow layer to fit showing just a bit of color and adhered to the top panel. 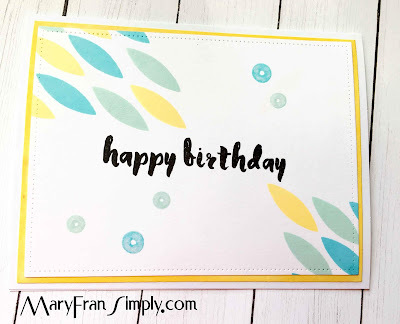 Before adhering everything together, I used the Avery Elle Dotted Rectangle die to cut. I mounted everything to a white card base and Voila! This is awesome! CAS style is the prefect kind of cards for guys! Thanks so much for entering your beautiful work in Altenew AECP assignment Gallery. Beautiful colors and design. Well done!